The World Land Trust’s (WLT’s) exhibit is finally finished after a nesting rare pigeon halted building work. The WLT Chelsea Flower Show Exhibit in its new location; the Tropical realm at Chester Zoo © Andrew Owen/Chester Zoological Gardens. 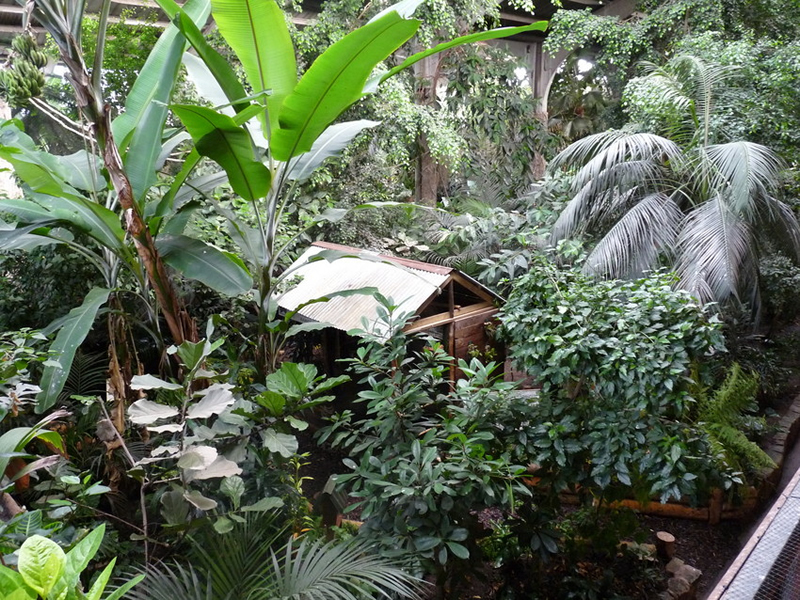 Following the success of the WLT’s exhibit at the RHS Chelsea Flower Show 2010, winning a gold medal and the “Best in Section”, it was relocated to the Tropical Realm in Chester Zoo. Its rebuilding has just finished, so now even more people can experience the Atlantic Rainforest and learn about WLT’s projects in Misiones province, Argentina, Brazil and Paraguay. 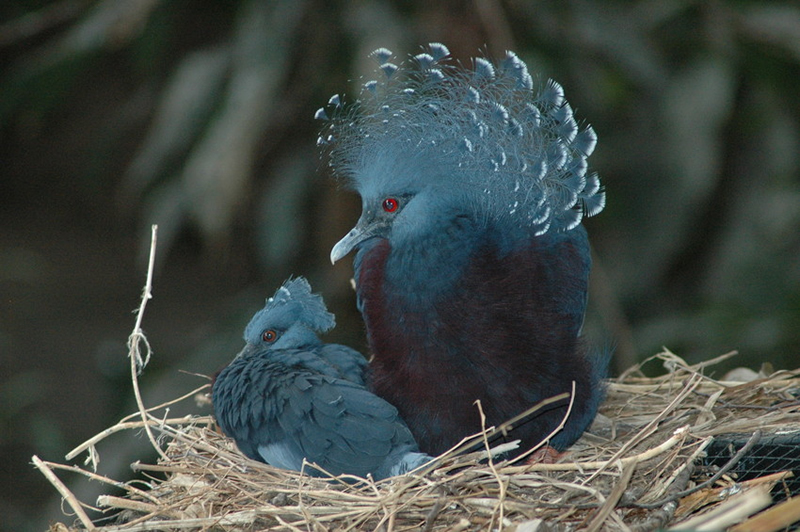 The rebuilding of the “Saving the Atlantic Rainforest” exhibit at Chester Zoo started in the summer, but came to an abrupt halt when a rare Victorian Crowned Pigeon (Goura Victoria) chose the site for nesting. Wild populations of this regal looking pigeon, with its spectacular crest of feathers and impressive size, have declined because of hunting and it is one of the birds selected for a captive breeding programme currently being run at the zoo. 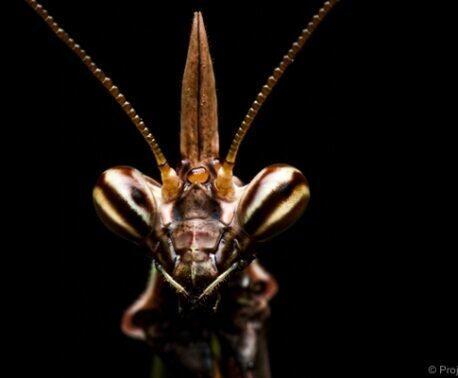 The Tropical Realm is home to 43 different bird species, many of which are free flying, as well as the Philippine Crocodile, Poison-Arrow Frog and a host of reptile and invertebrate species. The Victoria Crowned Pigeon (Goura Victoria) chick and its mother © Andrew Owen/Chester Zoological Gardens. 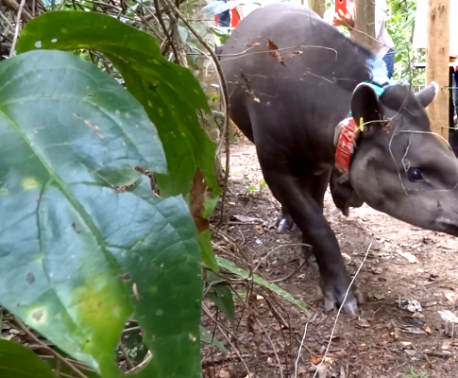 With 1.3 million visitors flooding through the zoo’s gates last year, the exhibit is set to raise awareness about the Atlantic Rainforest, with further interpretation panels planned for the future. 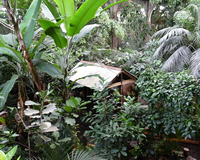 For those who were unable to visit us at the Chelsea Flower show, this is a great opportunity to see the ‘rainforest’ for itself in the wonderful setting of the Tropical Realm.